The highly anticipated Vanquish sets a new standard in the lightweight front drag spinning segment. With its extremely lightweight design which is build on the most high grade composites from Shimano, like the Shimano patented CI4+ material and magnesium alloy, the new Vanquish is even lighter than its famous predecessor. Not only the reel itself is lighter but when one picks up the reel to give the handle a swing one will really notice the major improvement of this new Vanquish. Because of a totally new design of the Magnumlite Rotor and related internal parts the reels run smoother than ever before. Build on the design capabilities of Shimano resulting in the Hagane body and the Hagane gear the angler can be confident to enjoy the outstanding performance of this reel for many years to come. Shimano offers the new Vanquish in many different models to satisfy the need of every avid angler out there. The Vanquish is developed with only one thing in mind; Only the best is good enough!. Shimano S A-RB bearings are high corrosion resistant A-RB ball bearings with an extra shield for improved protection against sand, salt or dust. The HAGANE Drive Gear is produced by Shimanoâ€™s coldforging technology, without the need for additional machining. This delivers a longlasting smoothness, strength, lightness and power at the very heart of the reel. Traditional diecast, machined gears are less durable under heavy loads. Cold Forged aluminium is used for some â€˜roundâ€™ reels, fly reels and is also used for many types of spool. Made from one single piece of aluminium Cold Forging produces great strength. Shimano AR-C Spool is a patented spool design with an angled spool lip. This design enables the line to leave the spool with less friction and in smaller coils resulting in longer more accurate casts. AR-C spools are proven to reduce backlash and wind knots when using braid. Shimano use magnesium for a select number of ultra high quality reels where weight saving is essential. The use of magnesium offers a weight saving of up to 10% compared with aluminium. G Free Body technology has been developed to shift the reelâ€™s centre of gravity closer to the rod. This has been achieved by moving the worm shaft oscillation mechanism 19mm from the bottom of the reel to the top. By moving the centre of gravity closer to the anglers hand position, the G Free Body helps to reduce fatigue and enhance casting comfort. Slow Oscillation - the spool moves slowly allowing more line wraps per cycle. The key friction area on most fixed spool reels is where the spool drive shaft meets the pinion. Shimano designers have overcome this by reducing a large percentage of surface area contact and incorporating bearings on either side of the shaft. The resultant design leaves the shaft in a â€˜floatingâ€™ position, considerably improving efficiency and longevity. Super Stopper II eliminates backward movement and free play in the handle when the reel is set in anti-reverse. 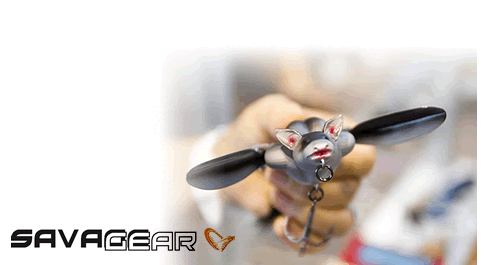 Dyna-Balance reduces wobble during the retrieve by counter balancing the rotor to enhance sensitivity and smoothness. By using computer balancing Shimano are able to redistribute the rotor weight to create eliminate vibrations.